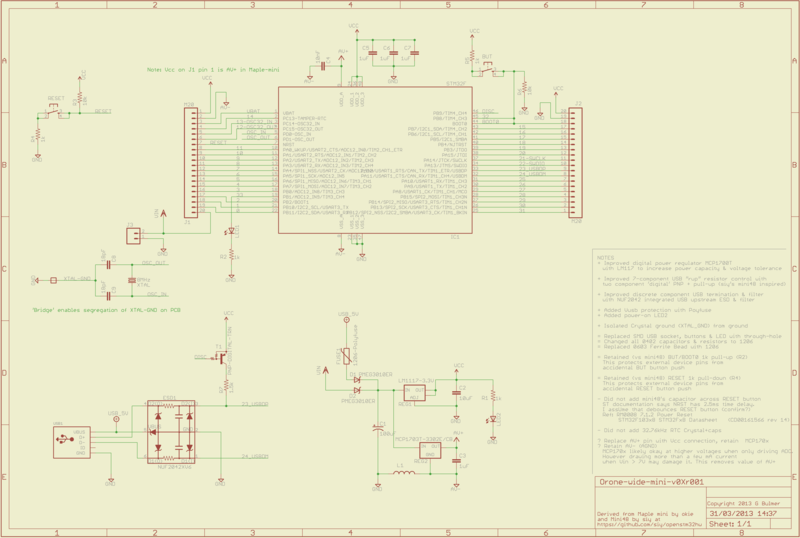 This entry was posted on March 31, 2013 at 3:42 pm and is filed under ARM, Cortex-M3, Embedded Interfaces, Uncategorized. You can follow any responses to this entry through the RSS 2.0 feed. You can leave a response, or trackback from your own site. I have a minor suggestion regarding the nomenclature you’re using to describe this board: On the board art, I see “0.8 pitch.” My understanding of pitch is that it describes the distance between *adjacent* holes or leads, rather than the spacing between the two separate SIP headers. So I suggest that you describe the connectors as 0.1″ (or 2.54 mm) pitch, and J1/J2 spacing of 0.8 inches. I suspect this documentation change may attract more novice users. ursine1 – Thanks again for your helpful comments. I agree, I was sloppy using ‘pitch’ in that way. I’ve changed the pictures and pdf’s in both posts. It now reads ‘0.8″ row spacing’, which is more accurate and less confusing than row pitch. 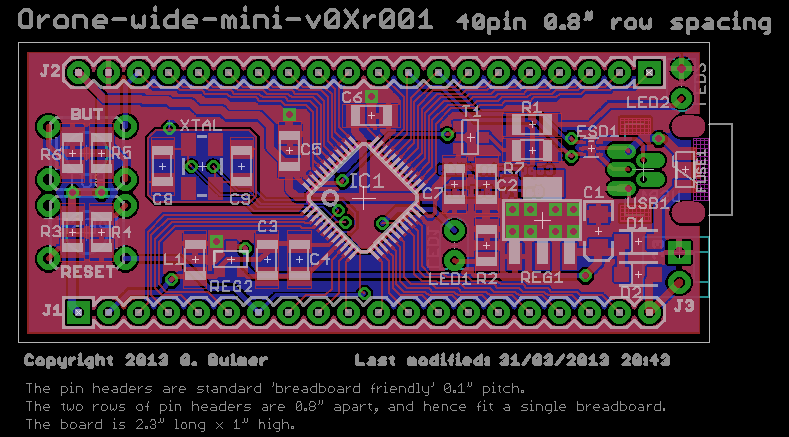 I’ve also added an explanation, visible in the .png of the header pin pitch, row spacing, and board size. Thank you.